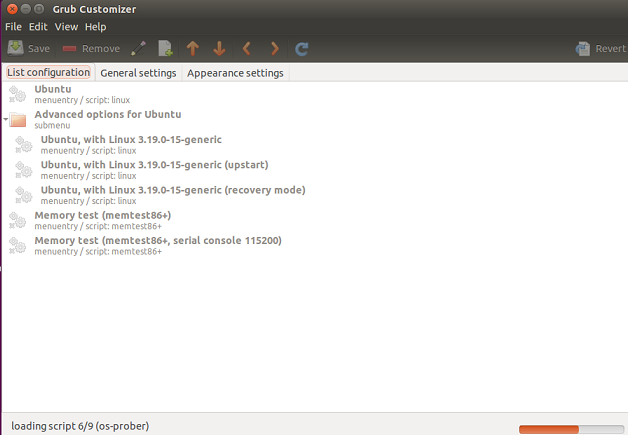 Grub Customizer is a life saving application when dealing with system boot parameters. Without using this tool, you will need to edit your boot and Grub settings manually using command line interface and in most cases, inexperienced users often make a mistake and it results in a un-bootable system. 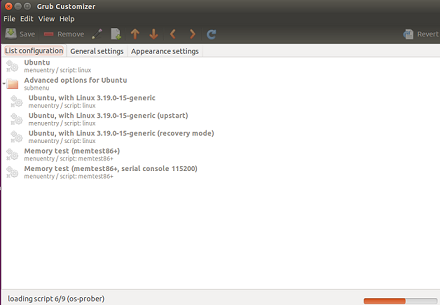 Grub customizer is extremely easy tool, performs all your required operations regarding boot loader within few clicks. It lets you easily edit the contents of Boot loader’s configuration file, reinstall boot loader to MBR, change settings like default operating system, boot parameters, background image, text color etc. The latest version for this tiny utility is 4.0.6, let’s see how we can install it on Ubuntu Linux 15.04 operating system. Kindly note that it requires following packages to be installed on your system before we attempt to install Grub Customizer. So here are the pre-requisites or dependencies which we should be installing prior to installing or running this application. Run following command to install all these packages on your ubuntu system. Once the installation of above mentioned packages is complete, download the latest Grub Customizer from following URL. Once above command completes successfully, run following command to finalize the installation process for this Grub Customizer. 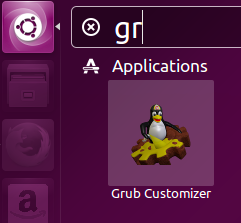 Congratulations, Grub Customizer has been installed, launch it from Applications menu. There you go, start modifying your Grub parameters. It is a must-have application for Linux geeks as they often need to play with system boot options. It is a very lightweight application and does not contribute to high resource consumption on your system.